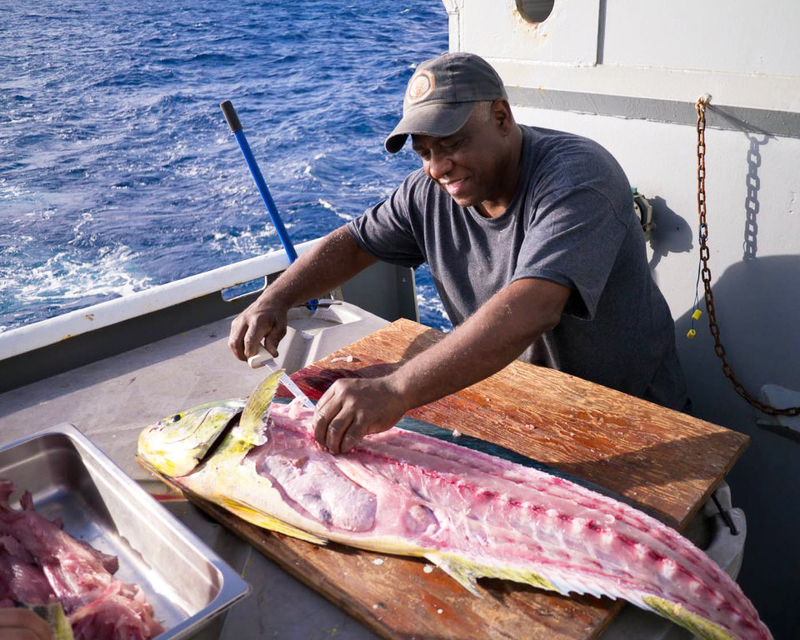 Skidaway Institute scientist Clifton Buck is on a lengthy research cruise in the South Pacific and is blogging about his experience. We are now a quarter of the way through our trip and the sun has finally begun to shine. The first two weeks were rather gloomy and downright chilly. While we are in the tropics, and you might expect hot and humid temperatures, the temperature near the South American coast is moderated by the cold water being brought to the surface by the upwelling action I described in a previous post. This is the same process that brings cold water to the California coast. Our cruise track has now brought us to the transition zone between the cold, coastal waters and the warmer waters of the subtropical gyre. Sea surface temperatures will now rise from about 17oC to a bath-like 28oC. Days at sea are busy! With 32 scientists on board there is always someone working somewhere, 24 hours a day. And with an operating cost of $30,000 per day there can be no idle time for the ship. When we arrive on station work must begin whether it is 3:00AM or 3:00PM. That goes for Saturdays and Sundays as well; there are no weekends at sea. Some groups are fortunate to have enough personnel on board that they are able to split their work into 12 hour watches. However, most groups require everyone to be involved when conducting operations. And some groups are only one person, like me, and must be available at all times. This can lead to some very long days and nights. Lunch and dinner are at 11:30 and 17:00. Both of these meals feature a salad bar which might be the best indicator for the length of time the ship has been at sea; let’s call it the vegetable index factor (VIF). At the start of the trip we are blessed with fresh veggies including green, leafy lettuce, tomatoes, avocados, spinach, mushrooms, and all the other produce you can imagine. As time goes by these items slowly disappear to be replaced by more hardy varieties. 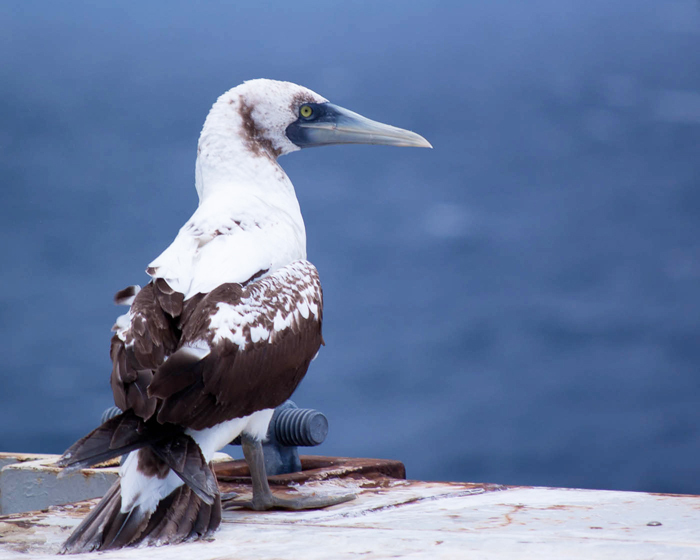 There are no markets in the middle of the Pacific and no resupply stops for us! In the last week we have seen the lettuce turn to Romaine, the spinach and avocados vanish, and the tomatoes change from plump cherries to larger (and less tasty) slicing types. Slowly but surely we will move from fresh fruits and vegetables to all canned and preserved. Yesterday we had the first appearance of the very sad canned mushroom. I’m not sure as to what the intended use of canned mushrooms could possibly be but they are without question a poor salad topping. Eventually we will be left with cabbage and all canned vegetables but that is in the future and like with any sad, inevitable reality I prefer not to dwell on it. In any case, both lunch and dinner are finished with dessert. Whether ice cream, cake, cookies, or pie there are always treats to challenge the waistline. We are now coming up on our eleventh station and will occupy this point for the next three days. We won’t have Internet because our antenna will not be able to “see” the satellite that keeps us connected to the outside world. It can be refreshing to go unplugged from all the noise on the web but I know that it does not just disappear. My Inbox will be flooded when we reconnect on Wednesday. 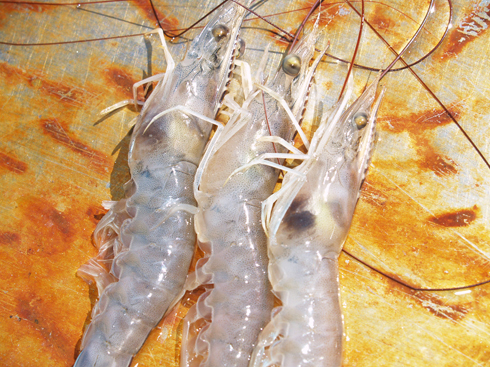 We had some nice news coverage of our new research project looking into Black Gill Disease in shrimp. 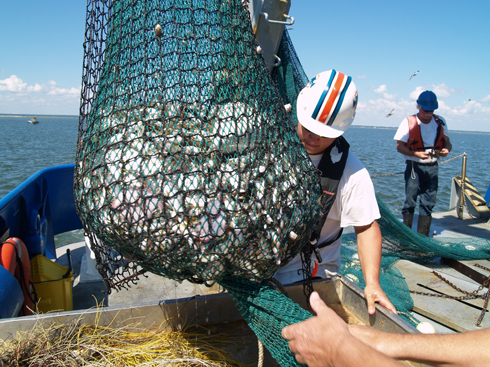 Mary Landers with the Savannah Morning News published this story last week. That story was picked up by the Associated Press and was distributed to other outlets, including the ABC/FOX TV affiliate there in Savannah. Ashli Lincoln came out on Friday and produced this story. UGA Skidaway Institute professor Cliff Buck is on a lengthy research cruise from Peru to Tahiti. Here is the second entry to is log of his experience. After 68 hours on location, we are finally leaving our first hydrographic station. A hydrographic station is a location that is chosen for intensive study. We will occupy 35 such stations over the course of the next two months and will use the data we collect at each to learn about the distributions of trace elements and isotopes (TEIs) in this region of the Pacific. We also measure basic parameters like temperature, conductivity/salinity, pressure, density, fluorescence and dissolved oxygen as these measurements can tell us about the movement of water masses within the ocean’s interior and help us interpret our chemical information. The GEOTRACES rosette being lowered over the side of the ship. The gray sampling bottles can be seen mounted on the titanium frame. The entire package weighs approximately 1,600 pounds including the weight of the rosette, bottles, and sensors. The bottles are specially made of Teflon-lined plastic and contain no metal whatsoever to reduce the possibility that the sampling system will contaminate the seawater inside. 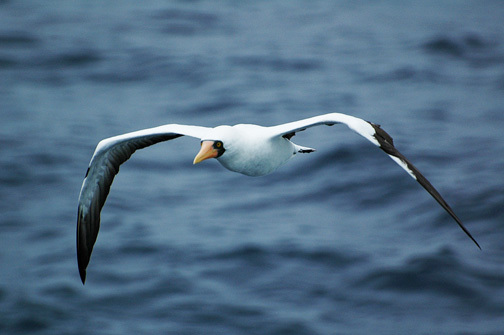 The bottles can be detached from the rosette and carried into a clean sampling laboratory on board to reduce the possibility of contaminating the water inside. Once inside the lab, the water is filtered and stored in specially prepared plastic containers and bottles for either analysis on the ship or back on shore. 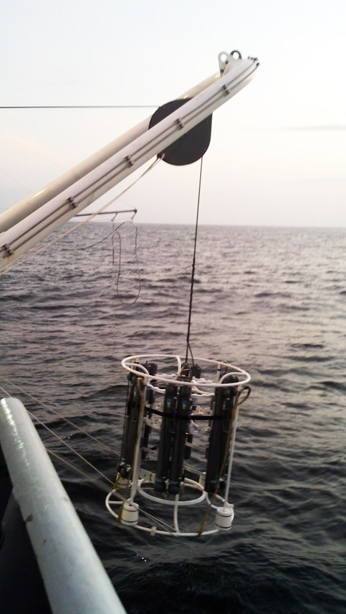 In addition to the rosette sampling system which brings seawater to the surface, a group of scientists from the Woods Hole Oceanographic Institution is deploying pumps that are able to operate to a depth of 5500 meters. These pumps are battery powered and are suspended from a wire lowered over the side. Their purpose is to filter 1200-1500 liters of seawater and to collect the microscopic particles which are present everywhere in the ocean. These particles have isotopic signatures that provide clues as to the circulation of the oceans and the rates at which particles sink from the surface ocean to the bottom. In the case of our first station, the bottom was 5500 meters (that’s 18,000 feet) beneath the ship’s keel. My work, along with collaborators Dr. William Landing from Florida State University and Dr. Ana Aguilar-Islas of the University of Alaska – Fairbanks, is targeted on the input of TEIs to the surface of the ocean by atmospheric deposition. The atmosphere is full of small particles called aerosols which can include emissions from industrial processes as well as dust blown off of the continents. These particles can settle on the ocean’s surface by dry deposition or become incorporated into rain droplets and be scavenged from the atmosphere in wet deposition. We have installed four aerosol samplers on the highest deck of the ship which run vacuum motors pulling air through filters. The four aerosol samplers can be seen in the foreground. 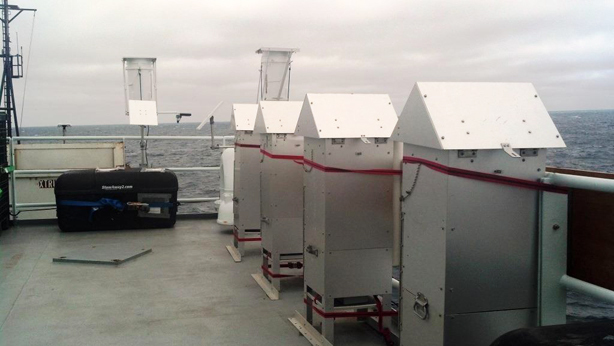 The sampling filters are protected from sea spray and rain by the roof-like shrouds that give the samplers the appearance of birdhouses. The rain samplers are mounted in the background. The aerosol particles are impacted onto these filters giving us a means to characterize their chemical composition and estimate deposition rates. We have also deployed two automated rain samplers which open and uncover their sampling buckets when their sensors detect rain. Any rain collected will be analyzed for a wide range of TEIs. Taken together, these research programs will provide us with a better understanding of the chemical processes at work in the eastern Pacific Ocean. For more information about Dr. Buck’s work, you can visit his Web page on the Skidaway Institute Web site.